Nokia 5250 is a new offering from Nokia India and is targeted towards budget conscious buyers in India. Nokia 5250 has officially launched in India at a price of Rs.7590 and will be available within a week at various retail stores all across the country. The rumours of its launch and release have been doing rounds for quite some time now. There were news that its specs and photos have been revealed on Ovi Unlimited listing. Though talked about from long time, phone was no where near to release but now it is confirmed that Nokia 5250 will be out this festive season, 2010. This simple touch phone comes with a 2.8-inches HVGA touchscreen with 640x360 pixels resolution and alphanumeric keypad. Budget-friendly Nokia 5250 runs on Symbian 1 operating system and has an array of impressive features but it lacks 3G and Wi-Fi capabilities. The most tempting of all are the multimedia and social networking features of this phone which includes a 2MP camera, music player on the home screen and downloading enabled from Ovi Music Unlimited. In fact, the music lovers may use it expandable memory feature to store as many as 4000 songs in the phone. 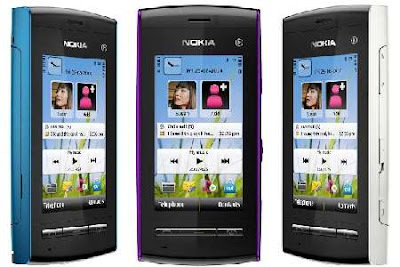 The 5250 Nokia smartphone also offers FM radio unlike other smartphones which only rely on music players for entertainment. It comes with a free copy of the Guitar Hero 5 Mobile. 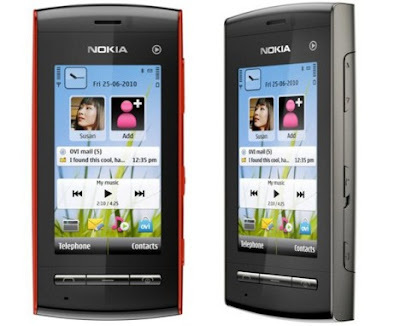 For social networking as well, Nokia 5250 works in a commendable manner. Right on its home screen, one may find favourite contacts and there itself users may easily access Facebook, MySpace and other social networking sites. Logging on to many email accounts viz. Ovi Mail, Gmail and Yahoo, plus IM accounts is also damn easy.The other key features of this device includes a 3.5mm audio jack, 51MB of internal memory storage. It is supported on quad-band GSM/ EDGE network and its GPRS connectivity for data gives access to Ovi Store Unlimited that enables connecting, downloading and using other applications. Nokia 5250 is expected to launch in colours such as Black, Blue, White and Purple.